Some of the top state Congress leaders have already begun informal talks with some CPI(M) leaders over the issue of seat adjustment. KOLKATA: Any talks of a CPI(M)-Congress adjustment for the parliamentary election have to be "initiated at the state level" as the political situation is different in various states, CPI(M) general secretary Sitaram Yechury has said, virtually ruling out a nationwide tie-up between the two parties. 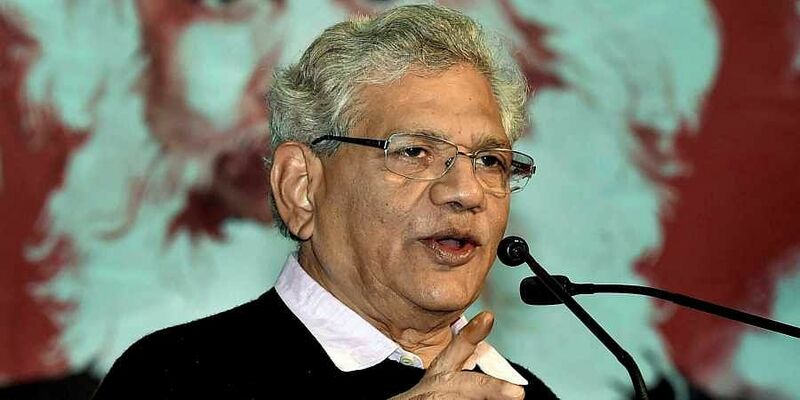 Yechury's remarks came at a time a section of the state CPI(M) leadership was keen on an electoral understanding with the Congress to defeat the Trinamool Congress and the BJP in West Bengal. "We had said the political situation is different in various states. So any sort of talks with the Congress have to be initiated at the state level," he told reporters on the sidelines of a condolence meeting for former West Bengal industry minister and politburo member Nirupam Sen here on Sunday night. Yechury said the alliance between the Samajwadi Party and the Bahujan Samaj Party in Uttar Pradesh was a "positive" development and that a "lot more is yet to happen". The CPI(M) leader said he is looking forward to an anti-BJP secular and democratic front at the Centre in 2019 in a "post-poll scenario". Some of the top state Congress leaders have already begun "informal talks" with some CPI(M) leaders over the issue of seat adjustment.